NORTH ARLINGTON – Police arrested a borough man Friday after finding him in his apartment with the body of his wife, who had been dead for at least a day. Eric Pleger, 45, was charged with murder and weapons possession in the death of Luisa Pleger, 47. The couple lived in 28K Garden Terrace in the Riverview Garden Apartments off Ridge Road, authorities said. The suspect was taken into custody after management at the Riverside Gardens apartment complex off Ridge Road called 911 about 12:15 p.m. Friday for a welfare check, according to Acting Bergen County Prosecutor Gurbir S. Grewal. "A check of the residence was done to ensure the welfare of (Luisa)," the prosecutor said in a statement. While performing the check, police officers found the the body of the wife, who had been dead for more than a day, the acting prosecutor said. Authorities said the crime was being investigated as a domestic-violence homicide. Grewal did not say how the woman was killed. The cause of death is pending an autopsy, officials said. 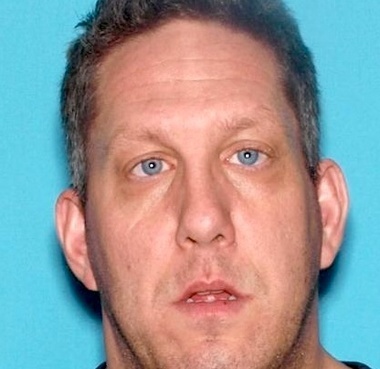 Eric Pleger is being held in the Bergen County Jail on $2 million full cash bail, according to the prosecutor's office. The homicide is the the first in the borough in more than 24 years. In addition to the local police department, investigators with the Bergen County Prosecutor's Office and the sheriff's office were on the scene.